These 50/50 polycotton mattress protectors have the comfort, luxury and protection from marks for your beds , without being fully waterproof. 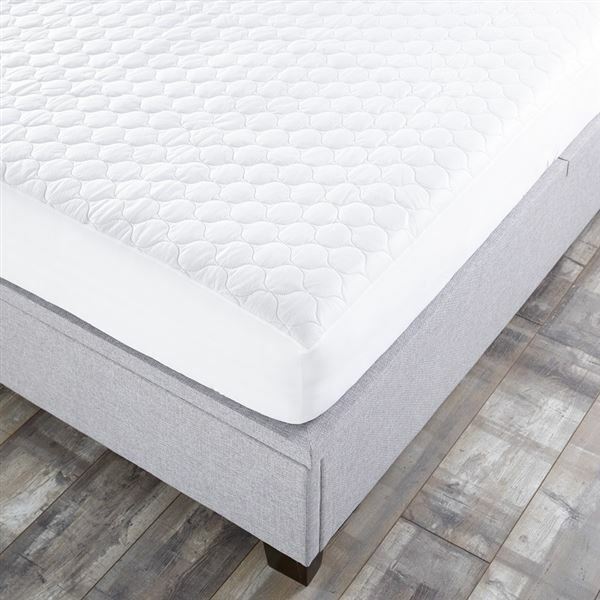 Featuring a fully elasticated stretch-knitted 30cm deep skirt to hold firmly in place, they will fit most mattresses and give you the protection and comfort you are looking for. Really pleased these fitted our long single beds. Lovely and soft, wash well and you can't tell it's on the mattress. Nice quality item - would buy again. Replaced two mattress protectors which were too loose - these new ones fit a modern single mattress well, so no wrinkles. High quality, soft feel mattress protector. Skirt looks like it will last (unlike other protectors I've bought). These fitted well were well made and good quality.